Closeout. 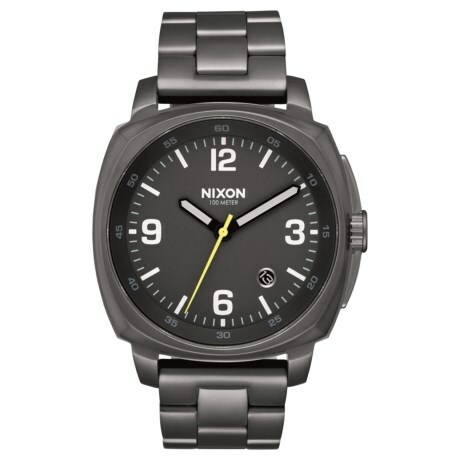 With its solid case-to-band connection and free-swing, 3-link bracelet, Nixonand#39;s Charger watch boldly takes you from the office to after hours (and even the deep, blue sea) in casual comfort. Available Colors: BLACK/BLACK, GUNMETAL.